Il n’y a rien de plus effrayant que de se retrouver, sur ses réseaux sociaux, au milieu d’une horde hurlante qui trouve que plus de 120 personnes tuées en moins de deux heures ne méritent pas que l’on s’y attarde un peu, sous prétexte qu’ailleurs existent aussi des gens qui meurent ! Suite aux attentats de Paris du 13 novembre 2015, certains commentaires de mauriciens (peu tout de même) sur Facebook et Twitter, m’ont donné froid dans le dos. Cela ressemblait à une sorte de légitimation d’un des attentats les plus meurtriers sur le sol européen. Même si en nombre ils n’étaient que très peu, ces commentaires me donnaient l’indication que même à Maurice, la radicalisation islamiste commençait subtilement à porter ses fruits et que les messages de Daech commençait à trouver certains Fans sur notre sol… Et ça, c’est dangereux ! Même si les libertés, ici, sont relativement très respectées! Graph Search just rolled out today on my Facebook Accounts. I explored and was quite happy with the experience. Definitely a new one, within in a nice graphic environment and with intuitive auto-deducting engine that offers possibilities to filter and point. Here are some screenshots to give you an idea. What we learned from Social Media Management and Marketing in 2012, will just be good for the bin, at least for most of it. 2013 marks the start of a new era in Social Media as a Marketing discipline. We will need to learn how to anticipate and how to plan Online Marketing Campaigns with significant headroom. 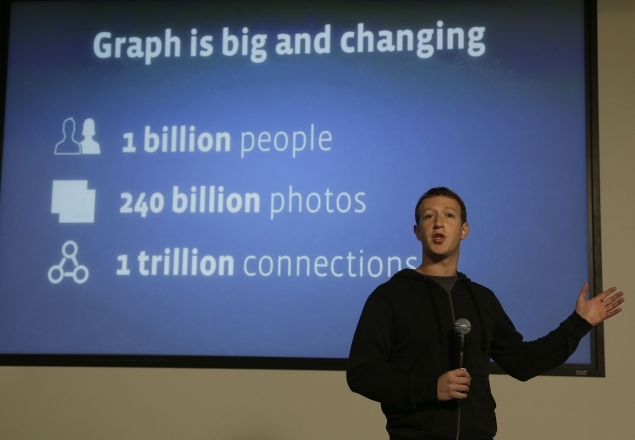 What marketers should know about Facebook new social search feature, Graph Search. No later than October last, while discussing in a forum of what we thought was to be that next big move into search from Facebook. Mark Zuckerberg made it clear anyway back in June 2012, that FB’s intention was not to challenge Google frontally, but to develop Social Search… He kept his word, and from we can deduct from the first looks of Graph Search is that they just may be right on it. So here we are… waiting to discover Graph Search, with much expectancies in terms of Social Media Marketing and Management. As we predicted 2013 is gonna see the big Social Media shift… And Facebook will only be one of the most, if not the most prominent instigator of all this. IBM Enterprise Marketing Management Group. Size never matters, Quality does… Always! It’s better to have 100 advocates only, than have 100,000 fans or friends. This has been my credo ever since I started Social Media.